To sign-up for your Taproot Farm CSA Share today, please visit here! 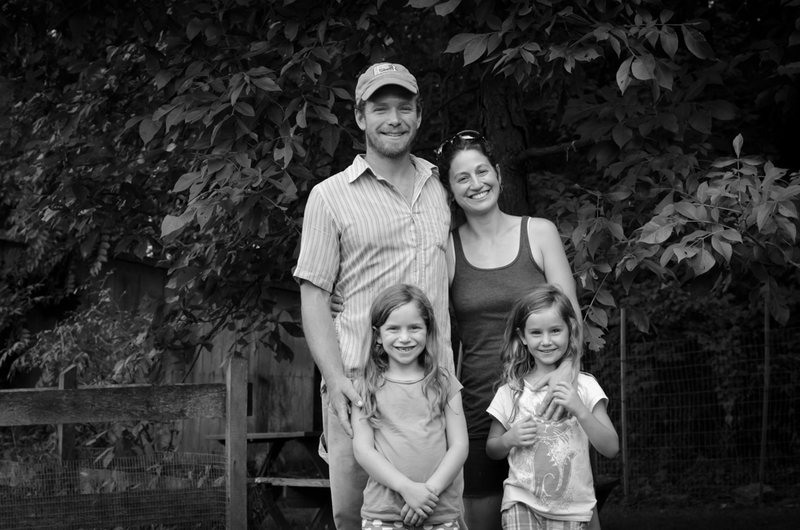 Taproot Farm is a family owned and operated farm in Berks County. What makes us different is that we grow 100% of our vegetables and pasture-raise our hens on our farm, allowing us the ability to fulfill our promise of the most organic and sustainable farming practices in the industry. Plus, we leverage our Berks County friendships to bring our members the most delicious artisan bread, artisan cheese, chemical-free mushrooms and IPM fruit. Whether you are a member who receives a weekly delivery of a fresh farm share (CSA) or you shop from our stand at one of our farmer’s markets in the area, or you purchase your ingredients for your restaurant with us, you are part of our family and we commit to providing only the best. We offer seasonal organically grown farm shares, also known as “Community Supported Agriculture” or CSA for short. Members can sign up for a 23 week share in the summer (June – November) and a 12 week share the winter (November – January). When you sign up for our vegetable share, you are also eligible to sign up for our eggs, mushrooms, fruit, bread and dairy shares. 100% of our vegetables are grown here at Taproot Farm, unlike some of our competitors, who source their vegetables from multiple farms. We have 100% oversight, control and food safety of our organic farming practices and our fair labor practices. All of our produce is seasonal, so you receive a weekly delivery of the freshest produce ever. In addition to our vegetables, our members will receive fresh berries & melons grown right on our farm. In the winter we can include jars of our famous tomato puree. We always email you a few days before you receive your farm share to let you know what will be inside! These emails come with a full description of the produce, cooking tips, as well as weekly original recipes, catered especially for your farm share each week! 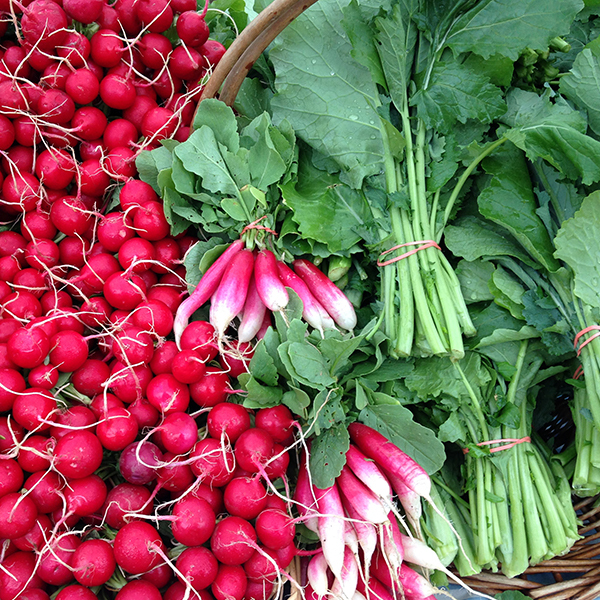 Taproot Farm Vegetables are also available at our weekly Farmers Markets. Pasture-raised eggs have more Omega-3s and Vitamin A than eggs from hens that live indoors. They have a rich, delicious flavor that is unparalleled. The deep orange yolk and perky egg-white of a pasture-raised egg is unmistakable. We raise our laying hens on a rotated pasture and feed our hens local, organic, and NON-GMO grain. The hens freely roam in up to a 1/2 acre of moveable electric fence, which we use to keep predators at bay. That’s 71.6 square feet per bird! Chickens thrive in this natural environment. They spend their days eating grasses and foraging for insects under open sky. Our eggs are 100% sunshine eggs! Taproot Farm Eggs are also available at our weekly Farmers Markets. 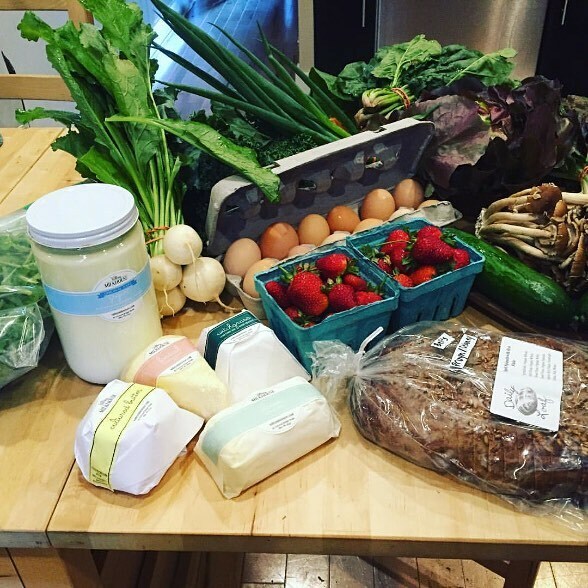 The Dairy Share is an 11 week share, running every other week for the duration of our entire CSA season. Made from organic flour, water, salt and sourdough culture. Hand-formed, whole-grain artisan loaves are baked fresh daily. This bread share is delivered weekly. Varieties vary as to what is in season: Blueberry, Kale, Basil, Beet Wheat, Sweet Potato, Onion, Seeded, Garlic Scape, Roasted Tomato, Zucchini Fennel. Our Fruit Share runs for 15 weeks, starting late June or early July, when Pennsylvania tree fruit begins to ripen. The share is 5 pounds weekly, consisting of peaches, apples & pears. When available, we offer our members cherries & apricots but these additional varieties are not guaranteed. County Line Orchard in Kempton, PA grows exceptional fruit, with a flavor like none other! They use the Integrated Pest Management System for their growing practices. We also may, on occasion, work with other orchards to offer our members more of a fruit variety. We only work with orchards who practice Integrated Pest Management (IPM), or grow using organic methods. In the Fall and through the Winter months we partner with our friends at Primordia Mushroom Farm to bring you the very best, fresh-harvested, chemical-free, locally grown mushrooms. Each week you receive ½ pound of their freshly harvested mushrooms. Varieties rotate from week to week and include: Shiitake, Lion’s Mane, Piopinno, Blue Gray, Gold & Pink Oyster, & Maitake. $56.50 ($7 a week) for 8 weeks beginning in late August or early September. 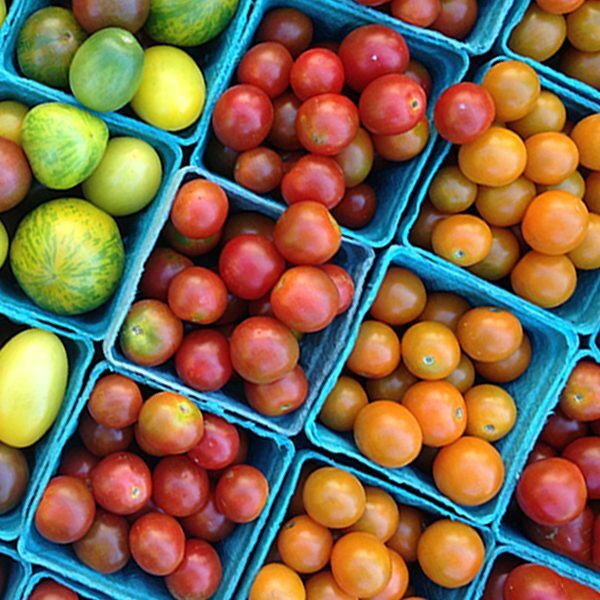 We deliver our farm shares to the Greater Philadelphia Area, The Lehigh Valley, & Berks County. Be sure to also check us out on Facebook and Instagram!